"as a general rule, don't watch black and white films"
What the h.... never mind. How can you even qualify if you don't watch black and white/Classic movies? Your credibility just took a fatal dump as I can't comprehend how someone can review movies and not like black and white movies. You know; Sherlock Holmes, old Westerns, Movies from WWII. Even The Rifleman and Bonanza. They were both in black and white and in color and the above movies usually had some kind message about values. Usually Christian values. They routinely mentioned "God", "prayer" and "the Bible". I'm not going to go any more into it. I already feel I'm wasting my time here. 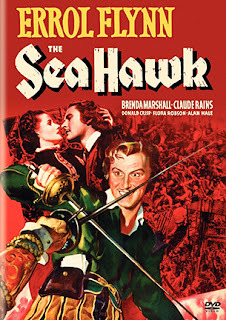 Oh, And I could mention the great writer whose book The Sea Hawk is based on including his other incredible books, but I don't think you'd be interested so I won't.